Today is Red Socks Day. 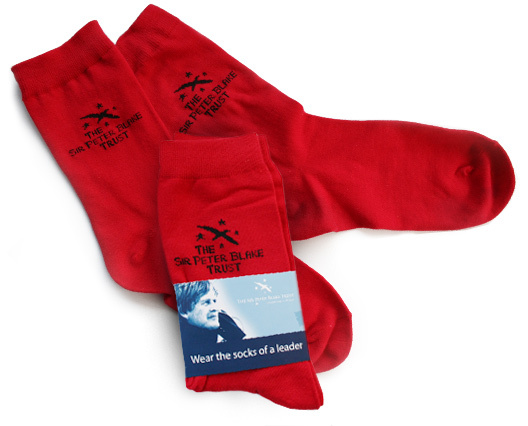 red socks from the Sir Peter Blake Trust. and one day was killed by real pirates. They were impressed I think. I want to grow leaders in my house so I am interested in this scheme. and sadly, you have no control on the outcome, sigh. but their paths could have been smoother! Growing leaders is a bit like putting on a pair of red socks. its a challenge to the universe, we are leaders in this house. you are different, you are going to do great things. And they have. They are wonderful loyal friends. They can cook, clean and look after themselves. They can get up day after day and go to work and come home and pay board. They are kind and caring and will put themselves out to help someone they love. and I have faith they will lead the way through those too. Growing leaders is about being faithful in the small things. and finding your own boots. and about learning to act with grace to someone who is not coping beside you. with a lunch you packed yourself wearing a jacket you remembered to take. it happens! They just might need some kindness. The Sir Peter Blake trust says: "DARE, DREAM, DO!" talked about turning your dream into a reality. then bigger things will be accomplished too. are achieved with very very small steps.